Two teenage boys and a girl have died following a crush at a St Patrick’s Day disco after a “large crowd” of revellers tried to get into the venue. 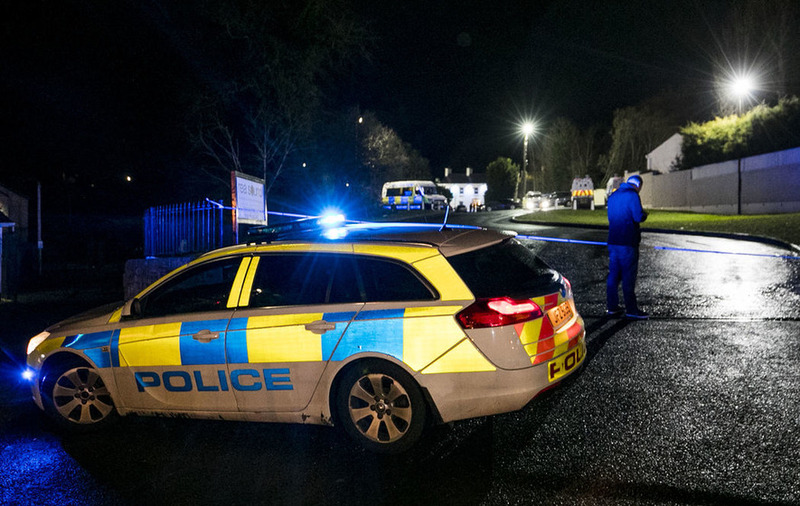 A 17-year-old girl, a 17-year-old boy and a 16-year-old boy died in the crush at the Greenvale Hotel in Cookstown, Co Tyrone, at around 9.30pm yesterday. The PSNI said “an extensive police investigation” was launched last night. Assistant Chief Constable Mark Hamilton said: “Our preliminary investigations show there was a crush towards the front door of this hotel, and in that crush people seem to have fallen. He added: “We are of an open mind … it looks like a crowd of young people, a large crowd, pushing up against the front of the hotel to get in to this event. Dr Nigel Ruddell, medical director of the Northern Ireland Ambulance Service, described the events as a “tragic accident”. He said six emergency ambulances, four emergency response doctors and four emergency officers attended the scene after receiving the emergency call at 9.26pm. He said crews declared a major incident upon arrival. “At this stage everything points toward it being a tragic accident and our hearts absolutely go out to the families of those involved and everybody who was caught up in this incident last night,” he said. Asked about reports of fighting, Mr Ruddell told the BBC there were no injuries to suggest violent altercations. “We did not see anything consistent with any fight or any violent injuries at all,” he said. He said one of those who died was declared dead at the scene, with the other two transported to hospital in critical condition. As well as the girl who was in a stable condition in hospital on Monday morning, Dr Ruddell said one other person was treated at the scene for minor injuries. DUP leader Arlene Foster tweeted that her “thoughts and prayers” were “with everyone impacted by this tonight”. Former DUP MP for South Antrim, William McCrea, said: “We’ve got to see what lessons can be learned from this tragedy.